Hey everyone! 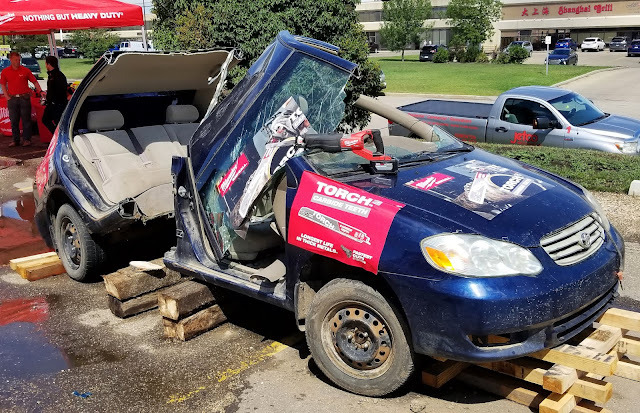 You may have seen our "viral" video where we cut a car in HALF with a Milwaukee 18V Reciprocating Saw, well here's some photos and a recap of the event! If you haven't seen the video yet, check it out below. Edmonton Fasteners held an event in partnership with Milwaukee Tools to promote and demonstrate their latest M18 power tools. There were other vendors of course, Walter Surface Technologies, FastenMaster, and Watson Gloves. Let's start with Milwaukee Tools. 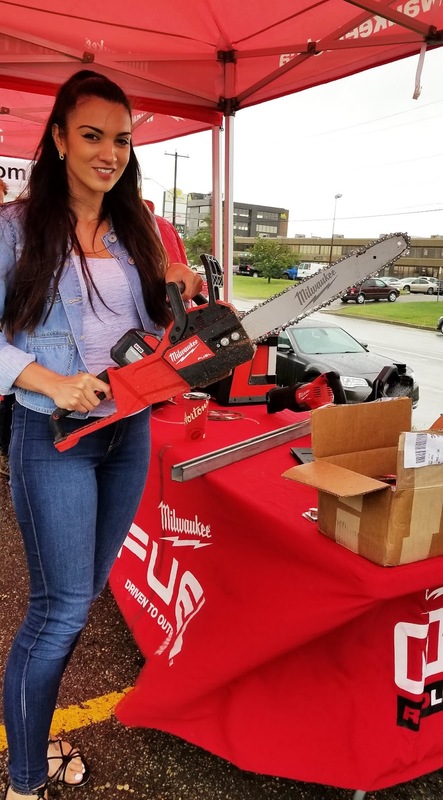 Milwaukee had their latest M18 Fuel 16" Chainsaw (from the 2727-21HD kit) for guests to use on a large log. 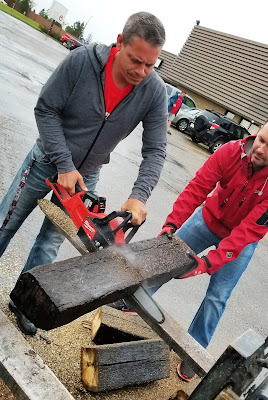 We even do a chainsaw race between the Milwaukee 18V 12.0 Amp battery and the Milwaukee 18V 9.0 Amp batteries and find out which one wins in the video below.